A 5 Heart Day! Love abounds all around! 4 Hearts! - A special day you'll remember fondly. 3 Hearts - Neutral, nothing special but Not a Heartbreak time either. 2 Hearts - You might wonder why you even bothered. Loving gestures shouldn't be determined by a holiday. 1 Heart - Not every Valentine's Day is a blast. This one isn't likely to be without a lot of effort and dashed expectations. Not a year to expect a lot. Future Valentine's Days are better. Much of your enjoyment on this year's Valentine's Day comes from including friends. A group dinner date with other couples would be most fulfilling to those already coupled up. Single Pisces shouldn't go it alone this year though. You'll be miserable if you don't include a few friends in your plans. Pisces need to drift off into seclusion now and then, but this isn't the day for that. Some of you singles could even find someone special in a group setting such as a workshop, class, or a club. Don't be surprised if you hear that a friend of a friend is now available. For Pisces who have natal Venus at 18-21, 28-29 Aries or Aquarius, the planets are lined up in a most auspicious way. A variety of fun adventures, good luck, and good times await you; not just on Valentine's Day, but the entire week! You might want to try your luck at the lotto, or be assured of success talking about the next step to your relationship. It's a 4 1/2 Star Day for you guys! 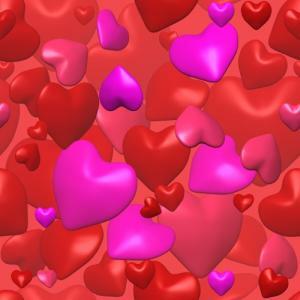 Barring nasty aspects from the outer planets to your natal planets, Pisces, overall, you are blessed with all "good" planets to your sun sign this Valentine's Day EXCEPT for one: The moon is in Gemini those 24 hours. But it's a subtle, fleeting influence - not a heavy one - that could bring some brief anxiety about your family, parents, or domestic issues. Plans for the day could be changed at the last minute. Irritating, but not catastrophic. It's out of the picture the next day, the 15th. A major, positive influence is Jupiter transiting your 10th house now. It emphasizes career and ambition and promotions! Somehow, creatively blending romance with your profession could work to your advantage today. Valentine's Day's planets are filled with opportunities for Pisces this year. If you're equivocating, err on the side of "going for it" rather than retreating. Otherwise, your usual productive days of solitude could feel quite lonely today. There's nothing sadder than a lonely Pisces on Valentine's Day.